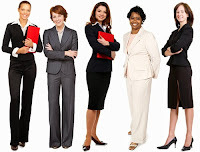 Many of my seminars and coaching sessions over the past 25 years have focused on empowering women – especially helping them to gain an awareness of how they present themselves to others. This requires women to understand the ways in which they communicate, both verbally and nonverbally. Listed below are my top 10 suggestions to help women be professional, get their voices heard, and enhance their credibility. 1. Speak loudly enough to be heard. If I could say just one thing to women, it would be: “Speak up!” Women often speak too softly, and make it easy for others to tune them out. Practice increasing your volume. Initially, you may feel that you are shouting, but the chances are that you are finally speaking loudly enough to be heard. 3. Don’t ask permission to speak. Women often ask, “May I say something?” Others raise a hand to “request” permission to speak. Instead, say something like, “The question remaining is…,” or just start talking to add your point. 5. Command the room. Walk into the room as though you belong there. Go up to people. Shake hands correctly. Stand assertively – no slouching – and don’t cross your ankles while standing. (An amazing number of women still do this.) Look people in the eye. Don’t wring your hands or play with your hair. Take a seat at the table. Do not sit on one of those chairs that are often arranged against the wall. You want to be part of the discussion, not an observer. Additional information on professional presence can be found in my book The Essentials of Business Etiquette. 6. Eliminate self-discounting statements. Don’t start your comments with, “It’s only my opinion,” or similar statements. Don’t conclude with, “I don’t know. What do you think?” If you discount yourself, it’s easy for others to discount you as well. 9. Stop complaining and learn to confront. Complainers don’t confront, but gripe to others about their situations. Unfortunately, lots of women complain. You can learn to speak up and ask for what you want in a 'polite and powerful' manner. Additional information on confronting can be found in my book The Power of Positive Confrontation. 10. Be visible. Get involved. Join organizations and volunteer for their committees. Participate in office activities. Volunteer to make presentations. Develop yourself--take additional training, get certified or obtain a degree. Use social media to comment positively on your company. Enter competitions and apply for awards. Start paying attention to how you present yourself. What items do you need to work on? There are many more items that could be added to this list, but these 10 are a good start. Can't stop reading your interesting blog! You know most posts should be printed and put on the wall in the workplace!